Designed for high school, university or community groups of students travelling together, Lexis Study Tours offer tailor- made programs to suit any interest! 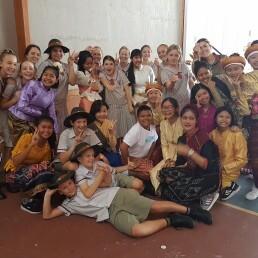 Students typically study English in the morning while following a personalised activity program in the afternoon, enjoying sporting, sightseeing, cultural, social and community experiences in some of Australia and Asia’s most exciting destinations. Study Tour groups can choose to study in their own class, or have students welcomed to Lexis programs throughout the school to maximise opportunities for English learning and cultural exchange. Contact Lexis directly to discuss the range of options that are available! Inquire now about study tours!